Anyone who has been using PCs for awhile likely has numerous abandoned corpses laying around gathering dust. The machines may or may not boot up, but even if they do, they are mostly valuable as conversation pieces and they certainly take up significant amounts of space. Short of donating them to a museum or tossing them in a landfill, what exactly should you do with a really old PC? That is a question that Christophe Guinet, aka. 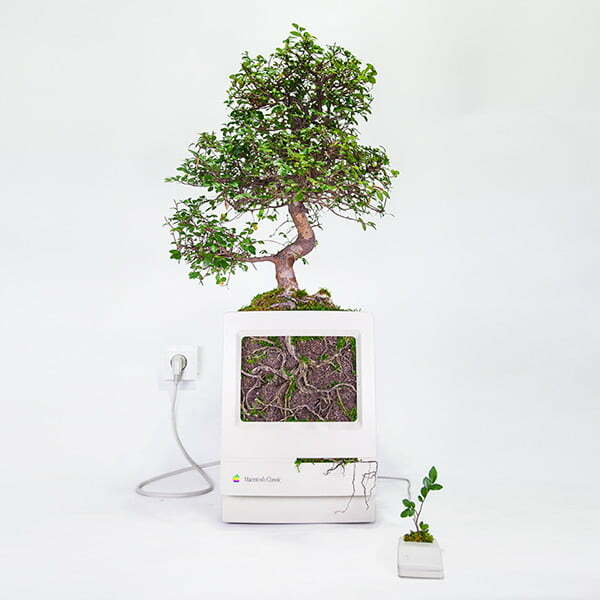 Monsieur Plant is answering, at least for your old Macs, with his artistic portfolio that highlights some fascinating ways to mix the botanical with the technological. Guinet’s portfolio is full of fascinating examples of how to turn old items into artistic pieces and thus reduce their impact on the environment. He uses plant materials of all kinds to create works of art that reflect his belief that an “escalation of consumerism” needs to be offset by artistic expression. 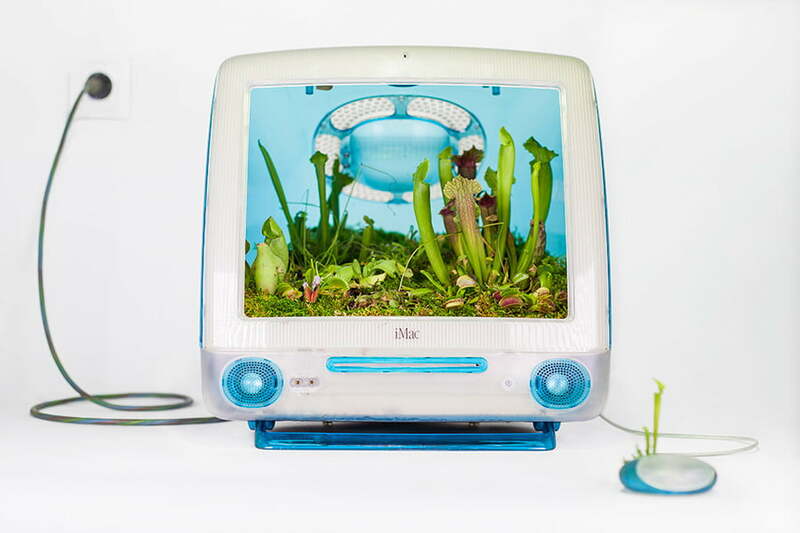 With that in mind, he has a collection of pieces that use old Macs specifically as the focal point of some interesting work. 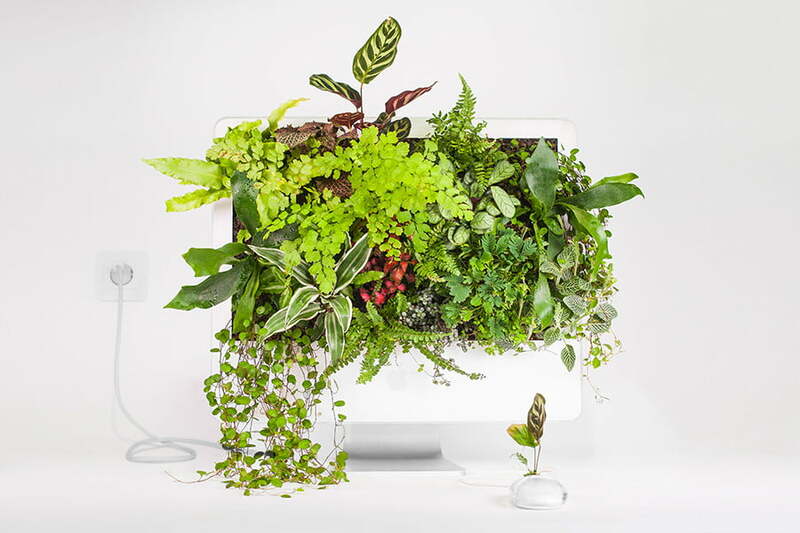 The following are a few examples of how anyone can turn a Mac into a biological work of art. It’s not just Macs that Guinet uses. 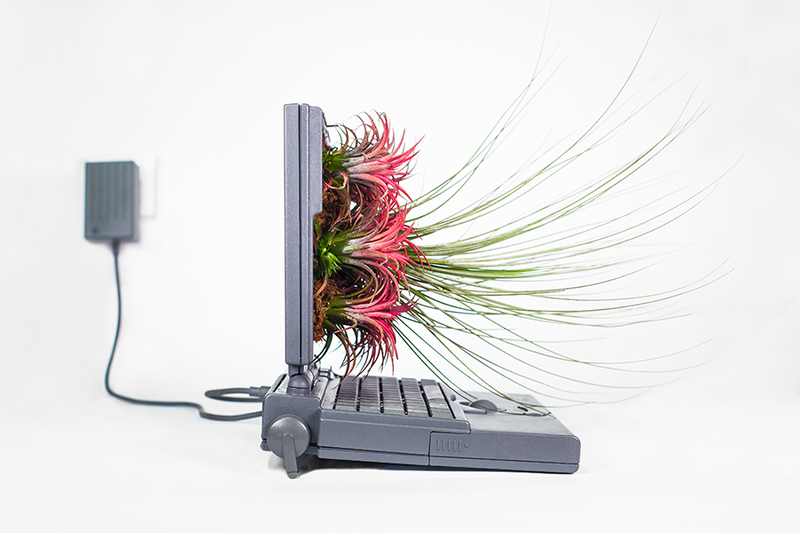 If you have any interest at all in alternative artistic forms, then you will want to check out Guinet’s site for examples of just how diverse plant life can be in expressing an artist’s view of the world. Monsieur Plant uses a wide variety of throwaway items to create his artwork and if you are looking for what to do with that old running shoe or discarded piece of bark from the tree in your backyard, then Guinet’s collection is a great place to get started in looking for ideas.